Microorganisms are an extremely important part of your lawn. Although fertilizers can do wonders in the short-term, microorganisms act as a long-term fertilizer and health system for your lawn. It’s important to nurture them and give them an environment in which they can thrive. I have been in the lawn care industry for 20 years now and have noticed over the past 7 or 8 years that the term microorganism is becoming more and more popular in the lawn care world. It has been fun for me to learn more and read every book I can find on the topic to not only understand microorganisms better, but to implement a strategy into my business that will help to build and re-populate them. Lawn care used to be a lot different. Here is the old way of doing lawn care: Go to the store and grab a bag of inorganic fertilizer with the highest nitrogen number possible – 32-5-7 (N-P-K). Put it down on your lawn and watch the magic happen. The grass turns green and will not stop growing throughout the summer. You have to mow sometimes twice a week to keep it looking nice. You didn’t have to think much about what was going on down in the soil, just about the grass blades being greener than the neighbor’s. 10,000 to 100,000 cells of algae, 100 million to 1 billion bacteria, several yards of fungal hyphae, and about 40 Nematodes: 20 bacteria eating nematodes and 20 fungal feeding nematodes. 2-3 million earthworms, 133 pounds of protozoa, 900 pounds of earthworms, 900 pounds of arthropods, 900 pounds of algae, 2,000 pounds of bacteria, and 2,400 lbs of fungi. 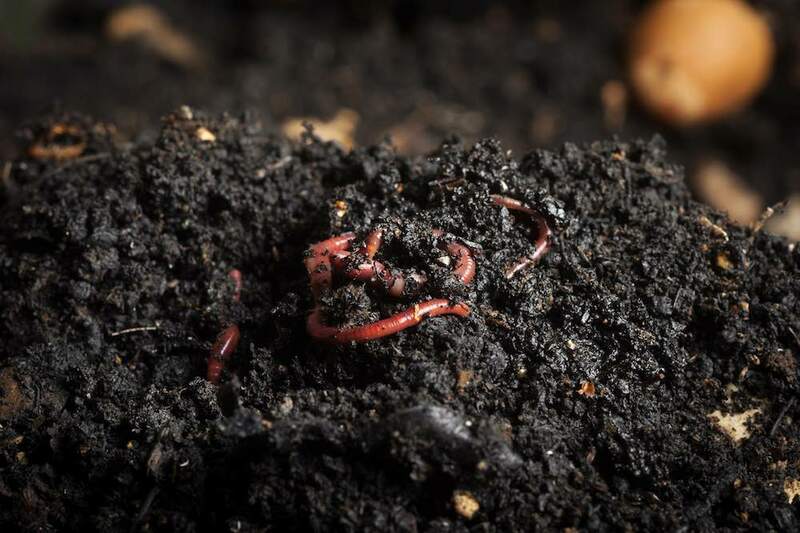 The amazing thing is that all these microorganisms and insects are all part of the soil food web and each play a unique role in the soil’s ecosystem. If things get out of balance, you start having serious problems. Using inorganic fertilizers and herbicides can quickly offset the ecosystem balance in soil. Inorganic fertilizers have a very high salt content. The salt irritates the worms and can damage and kill off beneficial microbes. Once these guys are forced out of your lawn, the soil becomes sterile. The beneficial fungi and protozoa that eat the harmful fungi are not around and you start seeing fungus problems in the lawn. The beneficial bacterial slime that helps soil particles retain moisture and hold nutrients are gone. Eventually you have to start using more water and more fertilizers to make up for what is missing. One of the most important things I have learned is that you need to work WITH the living microorganism in your soil in order to get the best long-term results. Often, lawn issues are a manifestation of an imbalance in the soil. Too much focus on N-P-K and nitrogen might be a quick solution for a green lawn, but will imbalance the soil and cause issues in the long run. The new way of lawn care incorporates this knowledge into the action plan for each property. Good lawn care includes always looking and analyzing the lawn to see how it is reacting and looking for ways to decrease inorganic materials and things that could have a more negative impact on the environment. Understand the importance of these microorganisms and what they do and how they work. Make sure the things you are adding to your soil will not harm them. Make sure you don’t go overboard or too heavy with any one nutrient at a time. Too much of a good thing can become a bad thing! If needed, provide food sources for the already existing organisms. If needed, use products that will add more microorganisms to your soil. Use compost and compost teas regularly – make sure they are coming from a good source and that they are active. Want to Learn More About Microorganisms? Here is a little bit of a deeper look at just three types of microorganisms that are living in your soil (hopefully). Nematodes are microscopic, wormlike organisms that live in water films and water-filled pore spaces in the soil. Typically, they are most abundant in the upper soil layers where organic matter, plant roots, and other resources are most abundant. Soil nematodes, especially bacterial- and fungal-feeding nematodes, can consume nitrogen containing compounds and release nitrogen in a form of ammonium, which is very easy for the grass to digest and use: they help the lawn uptake and use the food source. They can also enhance decomposition and nutrient cycling by grazing and rejuvenating old, inactive bacteria and fungi and spreading them to newly available organic residues. Without nematodes and protozoa, nutrients can remain immobilized and unavailable for plant uptake in bacterial and fungal biomass. Predatory nematodes generally feed on smaller organisms like protozoa and other nematodes. Thus, they can help moderate population growth of bacterial- and fungal-feeding nematodes and protozoa, and help regulate populations of plant-parasitic nematodes. Mycorrhizal fungi form a symbiotic (mutually beneficial) relationship with certain plant roots. They will help plants absorb phosphorus as well as potassium, calcium, copper, and iron more efficiently. In this mutualistic relationship, the fungi will colonize plant roots and spread out a microscopic network of filaments underground called “hyphae,” thus allowing the plants to soak up more water and nutrients, while taking sugars in exchange. On its own, this network of fungal hyphae is called a “mycelium” – which we know has amazing properties. When you have a balanced supply of these guys you can use less water and fertilizer which, again, will lessen your impact and give you that great lawn. Protozoa are one-celled organisms that prey on bacteria, keeping the good bacteria population in balance and fending off pathogens – those bacteria that cause plant diseases. Protozoa require oxygen to keep eating and reproducing, but it’s often in short supply in lawns at recently built homes where heavy clay soil has been compacted by construction equipment. Introduce air pockets with a core-aerating machine, allowing air and water into the soil for these soil organisms and your plants’ roots. Microorganisms are extremely important to the long-term health of your lawn. Be sure to follow the tips above. Those tips will help you to better nurture the microorganisms living in your lawn and give you a more beautiful and green yard now and later. Fertilizer 101: Which Type is Best and What Should I use on my Lawn? Save Money. Prepay for the Season. *Aeration is a state of the art Liquid Aeration which eliminates the need for mechanical aeration. Loosens soil deeply and improves air and water penetration.